A struggling economy and sinking home values have cast real estate investments in a bad light for the past several years, but some analysts argue that private real estate investments can be a wise portfolio diversifier. One reason is because there is a low correlation between home values and stocks and bonds, meaning that if and when those investments start trending down the odds are good home values will rise, making for a good long-term investment. Another reason is because variations in style, quality, geography and local economy can provide opportunities for growth that other portfolio holdings don’t offer. The longer term benefits of private real estate investment can therefore lower volatility in a portfolio. For more on this continue reading the following article from National Real Estate Investor. The global financial crisis and real estate downturn triggered widespread risk-aversion among investors. Once the worst of the crisis passed, investors and managers were left with the task of carefully reappraising risk and revisiting performance expectations of every asset class in order to rebuild investment portfolios. 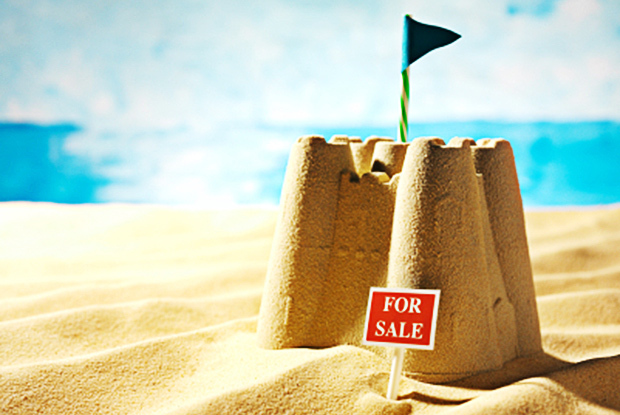 This column reviews the diversification benefits of private real estate within portfolios. Because private real estate has a low or negative correlation with stocks, bonds and public real estate investment trusts (REITs), it may help smooth out fluctuations in returns within a traditional portfolio of stocks and bonds. A low correlation with other asset classes suggests that private real estate returns generally do not move in tandem with the returns of bonds, equities or public REITs. This is true over the long term, where private real estate exhibits a correlation between -0.03 and +0.25. A low correlation also was the case during the past decade, despite the global financial and economic crisis. Real estate’s low correlation also stems from the valuation methods. Private real estate utilizes appraisal-based valuations, which are much less sensitive to short-term market volatility than daily stock market valuations of publicly traded REITs. Publicly traded REITs are subject to extreme market fluctuations and are highly correlated to stocks. Because private real estate is typically valued quarterly as opposed to daily, private real estate values react more slowly and less severely to shocks in the economy and the investment market than public real estate. Its volatility has historically been below that of the general market and real estate equities through previous investment cycles. In the past cycle, the total return index for public real estate reached its peak five quarters before private real estate returns. According to “The Case for Real Estate” by ING REIM Research & Investment Strategy, this past performance lends support to the idea of the public real estate markets leading the cycle relative to private real estate. Moreover, the strong recovery of NAREIT’s All REITs Total Return Index since 2009 (+173% from February 2009 to May 2011 period) may be a harbinger of robust returns in private real estate over the next several quarters, if not years. Further, since each investment in private real estate is unique in terms of location, size, characteristics, value and other factors, each real estate portfolio provides the potential to diversify geographically and strategically and to build an investor-tailored portfolio. By definition, each investment in private real estate is unique in terms of location, size, characteristics, value and other factors. Although these aspects make the benchmarking of the sector more complicated than equities, they also make each investment portfolio unique and not easily replicable. Moreover, these characteristics provide the potential to build an investor-tailored portfolio. Private real estate can provide significant and important benefits for a mixed-asset investment portfolio. Well-chosen portfolios have delivered attractive investment performance over long-term holding periods, providing high returns that have fallen between those of bonds and equities in the long term (1978-2010). Over the past 10 and 15 years, private real estate returns have even outperformed the S&P 500, the Dow Jones Industrial Average, the Russell 2000, and the Barclays Capital Government Bond Indices. Moreover, private real estate has historically delivered high and steady annual income returns, with 6.9% average annual income returns for the period 2000-2010 and 7.7% for the period 1978-2010. Private real estate has shown relatively low volatility, and has achieved among the highest risk-adjusted returns among the major asset classes over the past three decades (1978-2010). That means that for each unit of risk, it is estimated that private real estate has provided higher returns than stocks and public real estate, and has matched the bond index. The low or negative correlations of private real estate returns with returns of bonds, equities and public REITs suggest that it can be an effective diversifier, leading to lower volatility of portfolio returns and enhanced returns for a given level of risk. We believe that this is particularly important in an increasingly unpredictable global economy. We are in the initial stages of a cyclical recovery. We anticipate that the long-term benefits of private real estate will persist, which will benefit investors across the risk-return spectrum.